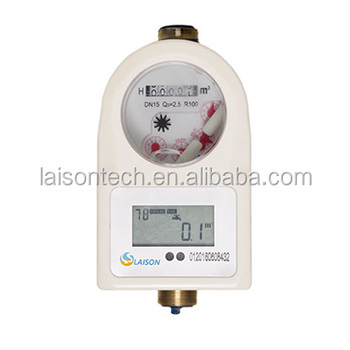 LXSZ-15 Dry type Stepped Tariff prepaid water meter could communicate with IR Pad. By Infrared Communication Technology, Smart Water Meter could communicate with keypad conveniently to realize remote meter recharge, parameter inquiry etc. functions; which provides comprehensive, reliable, advanced smart prepayment solutions to water utilities & authorities. 1)Put the meter number into LAPIS on mobile. 3) A 20-digits token after purchasing water through LAPIS APP remotely. 4) Input the 20-digits token successively through bluetooth via mobile; In the meantime. Insufficient Water Warning Function is optional in STS Bluetooth Water Meter. Overdraft function is optional in STS Bluetooth Water Meter.